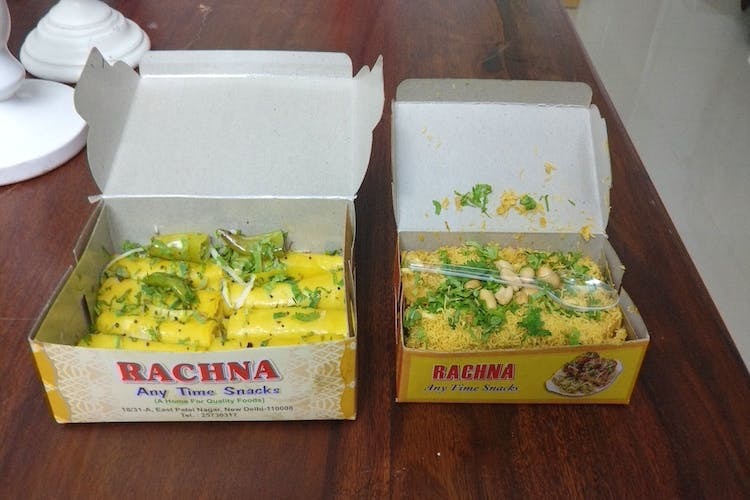 Dhokla, Khandwi, and spicy Bhel Puri are the signature offerings by Rachna, a little store tucked away in East Patel Nagar Market. They have been operating for over three decades! You’ll find the softest Dhokla, the perfect Khandwi, and palate pumping Bhel Puri and Sev Puri at this little store. They have been a market favourite for people living in the area and you need to check it out today. We’ve personally tried everything on their little menu and we’re here to report that we’re absolutely delighted! Their Bhel Puri tops the list for us, though. It'll only cost you INR 40 for a plate (of any of these) but it tastes like a million bucks. The only problem here is that they run out pretty quickly – they open at 5pm and are usually out of snacks by 7pm or 8pm, so make sure you head over quickly.